Agnete Kristin Johnsen was born on 4 July 1994 in a village Nesseby which is located at the top of Norway, close to the Barents Sea and Arctic Ocean and has a population of around 900. She is an ethnic Sami and the daughter of Sami children's author Signe Iversen. She rouse to fame as member of the band The BlackSheeps, which was formed in 2008 while its members were attending school in their hometown of Nesseby. They later won Melodi Grand Prix Junior 2008 with their song "Oro jaska, beana" which was performed in both Norwegian and Sami. The band later performed at the international MGP Nordic 2008 and won the competition. "Oro jaska, beana" went on to win Song of the Year at the Spellemannprisen Awards and peaked at number-one on the Norwegian singles chart. In the same year they have released their self-titled album, which produced three more singles: Edwin, Gold Lion and No milk today. In 2011, the band were announced as one of the competing acts in adult Melodi Grand Prix 2011 with the song "Dance Tonight", where they placed second. As a solo artist, Agnete has released 3 singles: "Goin' Insane" (which she debuted under the stage name Aggie during Melodi Grand Prix Junior 2013), "Mama" and "Hurricane Lover". In 2013 she has appeared as a participant in Stjernekamps on NRK 1, where she finished second. In 2014, Johnsen became the youngest ever winner of the tenth season of Skal vi danse - the Norwegian version of Dancing with the Stars, performing with her partner Egor Filipenko. She also starred as Dorothy in a staging of "The Wizard of Oz." 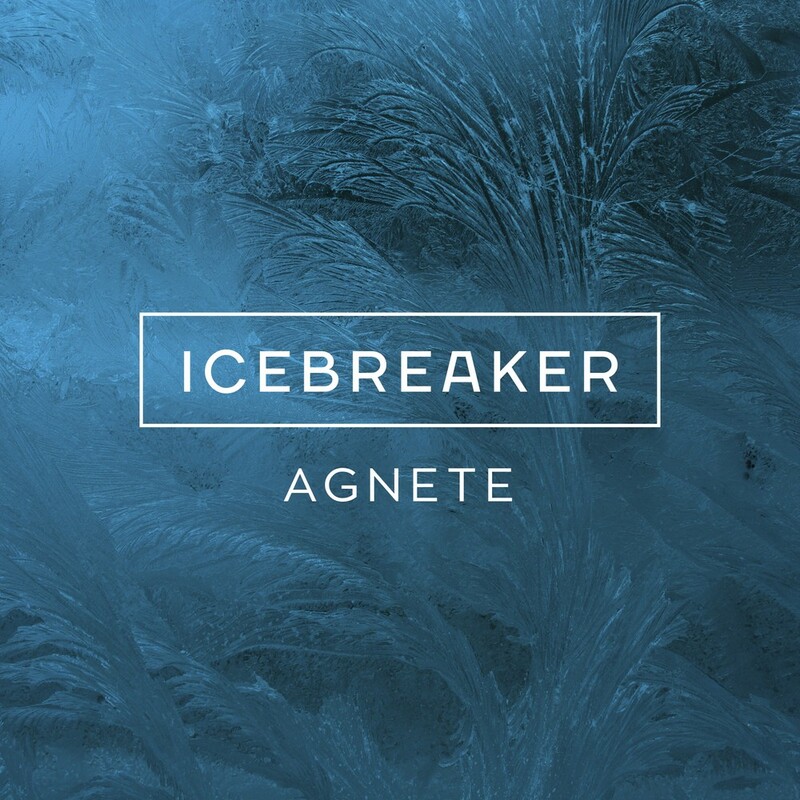 Agnete will represent Norway with the song "Icebreaker", which she has co-written with Swedish Gabriel Alares (Russia 2013, 2015, Moldova 2016) and Ian Curnow, who has experience of working with such artists as Rick Astley or Kylie Minogue. She says, it's a personal song devoted to one of her closest friends who is struggling from depression. "It's very strong to stand there singing this song when I know that she is sitting in the audience. We both struggled mentally and helped each other through tough moments", Agnete says. She has previously been open about her own struggles and she says that standing on the stage is the only thing that really helps her. "I can have a day where I'm very down, but then I go up on stage and grab the microphone and it's as if all the evils are released", she says. "The song is about being there for someone who is struggling. To me, Icebreaker is one of the most honest and most personal thing I've ever written, dedicated to my friend and our long lasting friendship. Although I sing in English, the atmosphere in the song is definitely inspired by the cold blue and vivid colours that you can experience during the Norwegian winter months. The transition between the verse and chorus has a tempo change that many listeners are responding to. It seems like either you love it, or you simply strongly dislike it"
"I've been watching the Eurovision Song Contest for as long as I can remember. When I was a little girl I used to imagine being on the stage, singing in front of everyone. Now, my dream has come true, finally I will represent Norway. It is a true honour that I will cherish every moment of. I'm going do my best, sing from my heart and hopefully make the people that voted for me proud", says Agnete. Our next guest at the ESCKAZ interview sessions is the representative of Norway Agnete. As usual, we start off by asking on her feeling about upcoming Eurovision participation. "I feel great! I have been following ESC for many years, I always had this dream of competing in the show. For me, it is an true honor and a career highlight that I this year will be representing Norway in the Eurovision Song Contest. I am very grateful for this opportunity, and will cherish every moment of it". At the Eurovision she will be performing "Icebreaker" written by herself, Ian Curnow and Gabriel Alares. "After being in "Dancing With the Stars" I told my managers that I want to be in the ESC in 2016, we spent some months finding the right people that I could write with. Then we wrote the song in one day in August in the Netherlands", Agnete describes. "We wrote Icebreaker with my best friend in mind, you can say there is a 14 year old story behind the song. The song is about being there for someone who is struggling". The entry has got a rather unusual composition, and Agnete explains: "We had a clear vision of how the song should end up, we knew this was a risky choice, but with the story behind the lyrics this was the only option that would work". She says there will be no changes in the song itself for Stockholm. "I am proud and pleased with the result and would not change it now. Currently there are none other plans for new versions of the song, it might change later". Speaking about stage presentation Agnete says that it will be different from the national final, and she currently is working on the stage and show together with the Norwegian broadcaster NRK. A sure thing is the addition of backing vocals, who will be introduced later on. Speaking about dancer Sara Kristine Einbu, who was performing with Agnete at the national final stage, she remains a bit vague answering if she will travel to Stockholm as well: "Maybe she will, this is a decision the show producers take. :)". 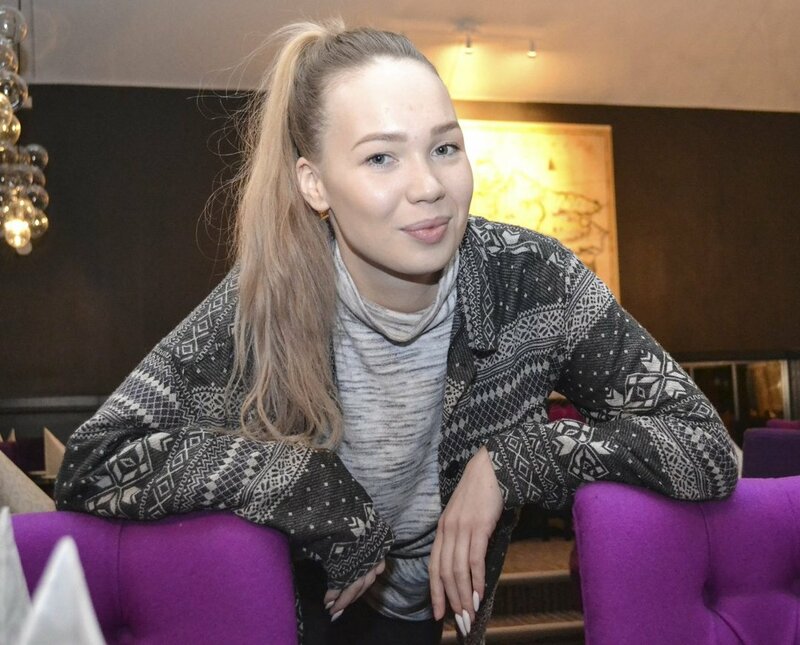 Recently Agnete has filmed a music video for her entry which is still being processed. "We filmed the video outside with wind, so the felt temperature was at sometime around 20 minus degree. Nothing extraordinary but it was not the best time to be outside several hours shooting a video. Great fun though! :)". Agnete's home town of Nesseby has been supporting her a lot in her journey, so we asked if she will bring Eurovision back to Norway, is there any venue in Finnmark suitable to host the event? "I love my town Nesseby, they have been supporting me throughout my whole career! As much I want to bring Eurovision to Finnmark, this would be very difficult and expensive to do here, but of course, we can give it a go! ", she says. Agnete defines her aim at the Eurovision as "To meet a lot of new people, enjoy the experience and have a great time, if I can do that everything else will be totally fine". Unfortunately the singer had to cancel all of the upcoming promo events as she is still recovering from the illness, but she promises to be fully recovered when going to Stockholm. "I will be 100% ready in the beginning of May. The only thing that is left for me to do is to fly to Stockholm". Agnete says she had listened to some of the entries competing this year: "there are a lot of great artists and songs, it will be a tough competition for sure!". "Thanks for the interest and for reading. I am really looking forward to be on stage in the ESC semi-final 12th of May. Hope you all like it. You can also check full version of the interview on OGAE Rest of the World Facebook page. Agnete Johnsen and the Swedish production crew got a warm welcome when they arrived to Agnete's hometown, Nesseby to record Norway's postcard. The environments have a frosty feeling, but Agnete and the locals truly shine with warmth. Agnete’s roots lie in a small community called Nesseby, in Norway's northermost county Finnmark and right in the middle of the Sámi district. The village consists of 1000 residents, and nearly 100 turned up to participate in the shootings. You can see a confident Agnete in Norway's postcard. Proud of her origin as an ethnic Sámi, she stands in snowy landscapes dressed in a colorful Sámi folk costume together with fellow villagers. In addition to that, she also went with the team to the mountain plains on snowmobiles to continue the shooting. "The postcard recording went very well. It was incredibly wonderful and moving that so many people had taken the time to be part of it. I can't wait to show Europe my village", said Agnete. Both young and old came together to participate in the filming. "This is so much fun and I can't wait to see the final postcard. I am very proud of her. She can go all the way", said one of the attendants. The recording turned into a powerful experience for Agnete, who now will charge her batteries until the Second Semi-Final on 12 May. "Now I will spend time relaxing and being with my friends and family before travelling to Stockholm. But I also find energy in mountain trekking", said Agnete. Representative of Norway Agnete has cancelled all promotional appearances this week. Norwegian broadcaster NRK starts filming it's preview show Adresse Stockholm. Panel members this year will be former MGP-general Per Sundnes, editor Ingeborg Heldal, current MGP musical director Jan Fredrik Karlsen and P3 presenter Silje Nordnes. Presenter of the show is is Marte Stokstad. This year NRK also invites Eurovision fans into the studio. "The warm atmosphere will not be the same without the faithful enthusiasts", says MGP project leader Stig Karlsen. Filming of the show will take place on Monday 4 April at 17:30, Wednesday 6 April at 17:30 and Thursday 7 April at 16:30, on Thursday two programs will be recorded. If you want to attend one or more of the shootings, you can register your interest mailing mgp@nrk.no. Remember to include your name, e-mail, phone number and the dates you wish to be present. "We are really looking forward to spending a few pleasant hours with the enthusiastic fans", says Stig Karlsen. The first episode will be broadcasted on 16 April at 19:55. 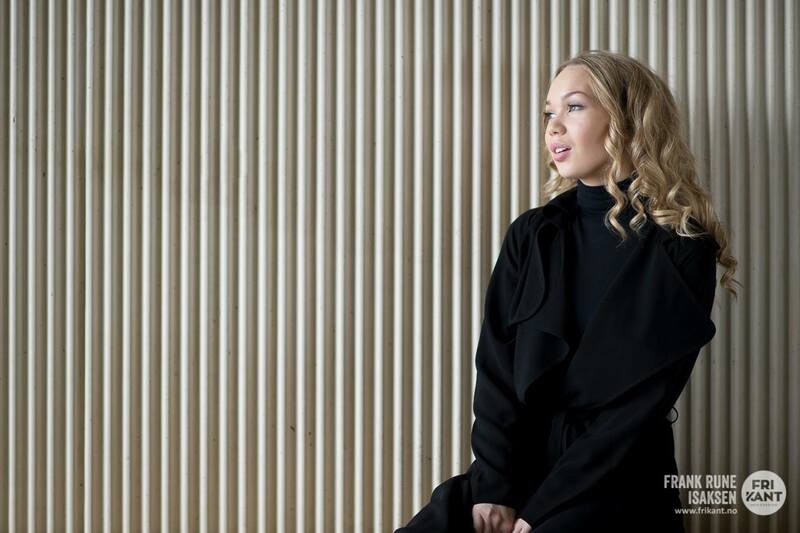 Agnete Johnsen battled through minus degrees and flu to visualize the song she hopes to captivate Europe with. "I want to convey the song in a package that makes it exciting and exotic for Norway and the world", says Johnsen. With a song titled "Icebreaker" and an artist from Nesseby it was natural to shoot the music video on the mountain plateau. "This is where I grew up, this is my home. It is important for me to show where I come from. The bonus is nature and landscape which are simply magnificent and magical, which adds depth and an extra dimension to the video", she says. Some problems were brought by the artist's health. Johnsen says that she had to fight with the flu for several days before filming eventually started. "Being out in freezing temperatures when not completely free of influenza was a bad idea", she admits. "But I had a burning desire to make the video. The dates were set and production people booked. I could not allow my poor form to stop me, and drove on". 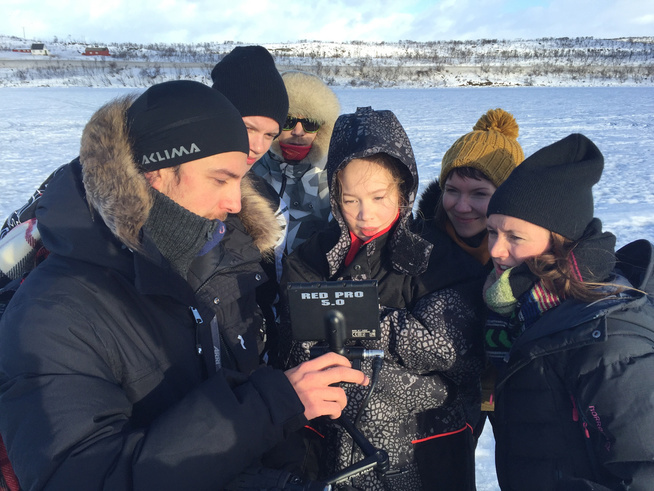 The temperature during the filming was according to the director at around five degrees below zero, which is not so bad for Finnmark - until the wind starts to bite. "But the production company made sure that I stay warm and have enough breaks. They gave me all the time I needed to deliver on camera", says Johnsen to VG.no, stressing that it was her own choice to carry out recording. Nevertheless the condition of her was so bad that she had to cancel a planned appearance on Norwegian-Swedish talk show "Skavlan" where she was supposed to perform a duet with Swedish Melodifestivalen winner Frans Jeppsson Wall. The road from the recording location to the airport was also blocked, so she couldn't made it up to "Skavlan" recording anyway. Director Elle Márjá Eira explains that she and her team in Davás Film is proud to make the video to promote Norway's entry to the Eurovision Song Contest. "Agnete is so talented. She takes directions very quickly, and is very good on camera. She is "arctic femme" with so much power", says Eira. "And it was very cool to speak Sami in the set. It is incredible that Agnete decided to make music video home in northern Norway". Johnsen has previously spoken how important "Icebreaker" and its lyrical theme is for her. "We have tried to continue what she was doing on stage in Oslo Spektrum, and visualize feelings in the music video". 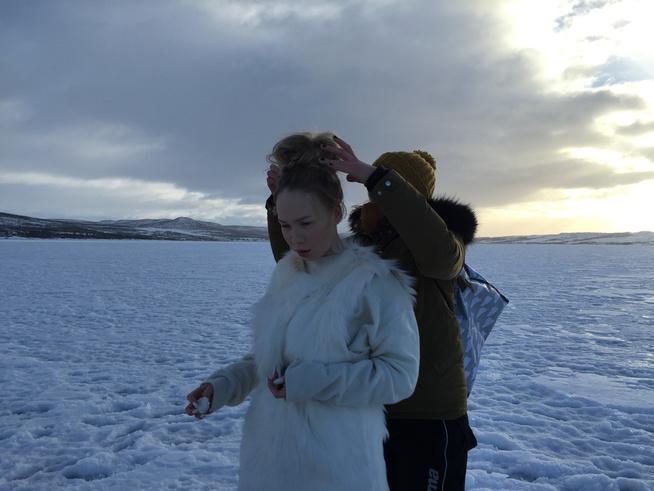 Costume designer Linn Henriksen says Johnsen's outfit in the video is inspired by the Arctic identity. "I thought both of who Agnete is and what her song is. Authentic, original. Reflecting where she comes from, with a small Sami touch. Agnete has a wonderful natural charisma I was building on. I usually work with feature films, but I wanted to do this because Agnete is a fine representative of Finnmark". The artist is now looking forward to the European competition. "I'm really lucky to have been able to be a part of this. I have to thank everyone for their support once again, I am eternally grateful", says Agnete. The video premieres at NRK1, Saturday 2nd of April, when broadcaster will also show documentary "Agnete, the star from Nesseby". Watch it at 19:55 here. 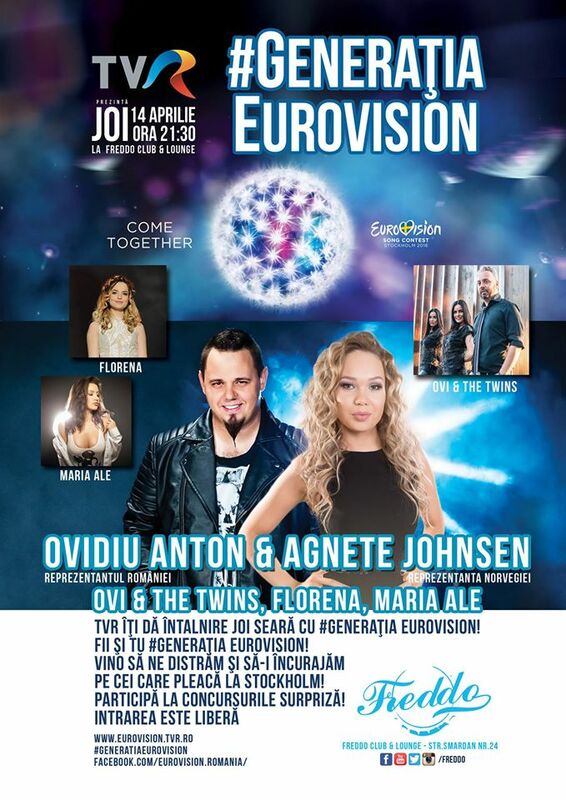 Agnete Johnsen's European promotour is planned and sponsored in part by her hometown. Before departing to Stockholm, Agnete is scheduled to visit a number of European countries to build fanbase and make people familiar with her song Icebreaker. She is planned to make appearances in the following countries: Sweden, Denmark, Finland, the Netherlands, Britain, Russia, Hungary, Germany, Spain, Romania, Poland, Greece and France. Agnete will visit Amsterdam and London promotional parties. Five remixes of the song will also be produced. The mixing is done in cooperation with the musicians in the countries Agnete has the highest recognition at. A town of Nesseby, the most far-North town to ever deliver Eurovision participant, is providing 75,000 NOK for the promotion. "Members of city council are very pleased with the efforts of Agnete and believe Nesseby should support her candidacy when she represents our town in the big world. We are all very proud of her", says member of the Council Marit Helene Pedersen to Finnmarken. In the next few days a postcard video will be shot in the local municipality. Icebreaker will also get a new music video, which will be released on 15 April. On 4 May Agnete will depart to Stockholm. Nesseby is planning a special event on the day of the final, and they are now looking for the possible venues, childhood center or outside the museum are possible locations. 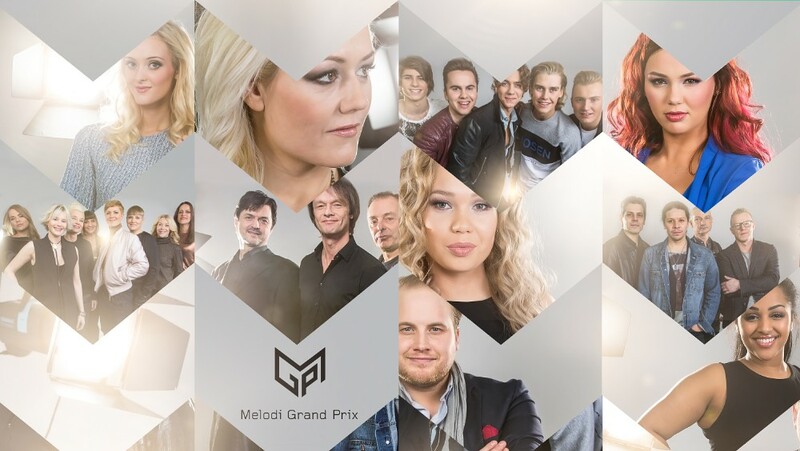 Norwegian broadcaster NRK once again has chosen it's entry for the Eurovision Song Contest through national selection process Melodi Grand Prix. Jan Fredrik Karlsen became the new music producer of the preselection. 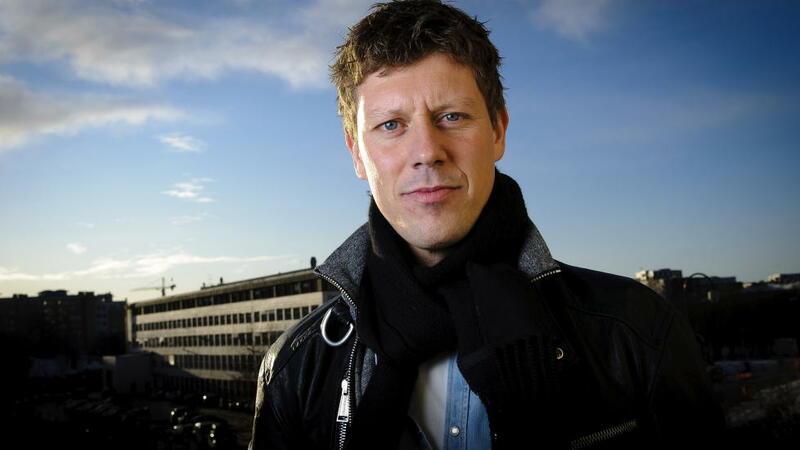 He is known as Idol judge, and also was involved in X-Factor and Norway Got Talent productions. Now he took over for Vivi Stenberg as music producer of MGP. Regulations for MGP have been published on 22 June 2015. Norwegian preselection is one of few that allows foreigners to take part. More than that, submission to it is pretty easy: there are no limits on the quality of recording, length of the song, composer demos not aimed for any particular artists allowed as well, and submission itself can be done on the internet. The only condition is that contribution must be unpublished and not previously performed in public. Should the song be chosen, the track must be adjusted to fit Eurovision rules. Norwegian Broadcasting Corporation reserves the right to select the artists who will perform the songs, but this is done in dialogue with the songwriters. NRK will in addition to choosing songs from submissions, also directly contact composers and artists, and ask if they want to participate in the competition. Deadline to apply has passed on 11 September 2015. 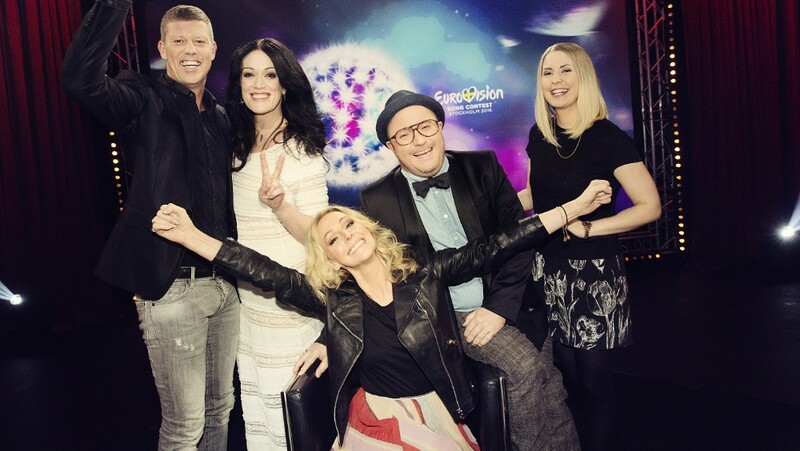 NRK has revealed that almost 1,000 entries have been submitted for the upcoming Norwegian Eurovision national final. 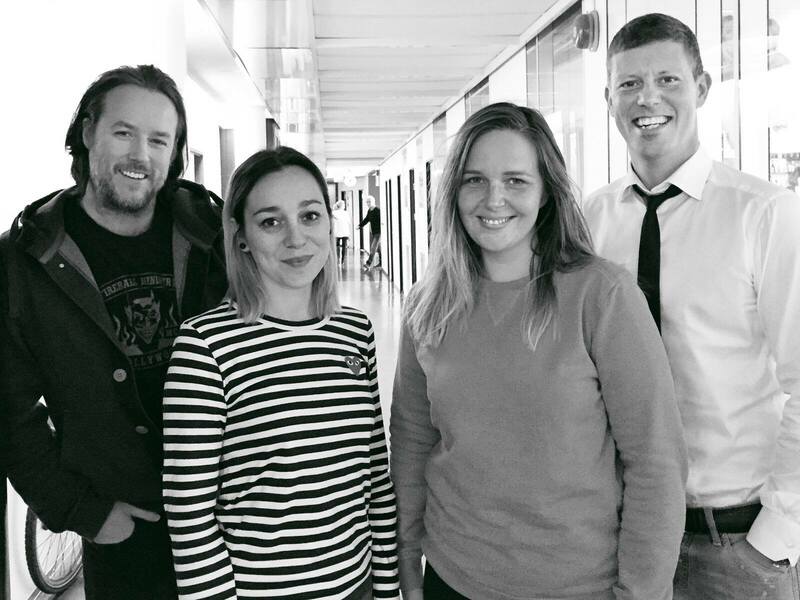 A special committee appointed by NRK made of Pia Skevik (NRK P1), Marie Komissar (NRK P3), Jan Fredrik Karlsen (MGPs music producer) and Stig Karlsen (MGPs Project Manager) has evaluated all received entries and select a total of 10 songs/acts for the 2016 Norwegian national final. Competing artists were revealed on 19 January at noon local time, at special presentation in NRK studio hosted by SiLyA and Kåre Magnus Bergh who interviewed Jan Fredrik Karlsen as well as participating acts. At that time 15-second clips of the song were be made available on instagram. The full songs were released on 02 February and can be heard here. On 20 January it was announced that due to the fact chorus of the song "Happy Rush" of Freddy Kalas is similar to his 2011 release "Cannabus" singer was given 24 hours to come up with a replacement chorus. This was completed in time and song was renamed "Feel Da Rush" afterwards. Considering that the first song on the waiting list was another song of Freddy Kalas it was decided not to disqualify the artist. MGP programming also included special introduction episode, which was aired a week before the grand final. 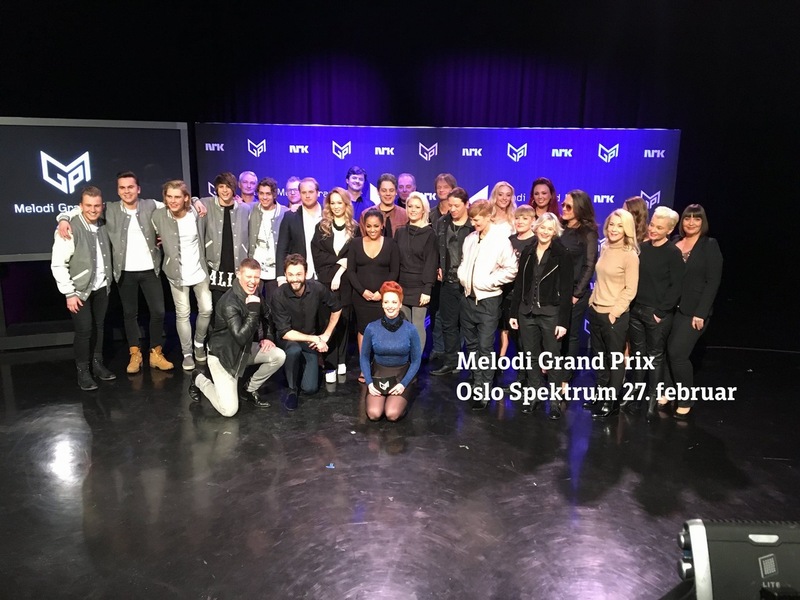 Final of Melodi Grand Prix 2016 took place in Oslo Spektrum on 27 February and again was hosted by SiLyA and Kåre Magnus Bergh. Tickets for the show cold be purchased here. Special guest acts for the show were past Norwegian Eurovision entants: Kate Gulbrandsen - "Mitt liv" (1987), Mørland and Debrah Scarlett - "A Monster Like Me" (2015), Silya Nymoen - "Voi Voi" (of Nora Brockstedt, 1960), Åse Kleveland - "Intet er nytt under solen" (1966), Knut Anders Sørum and Reidun Sæther - with songs of Jahn Teigen "Adieu" (of Jahn Teigen and Anita Skorgan, 1982), "Mil etter mil" (1978) and "Optimist" (1989), and Jahn Teigen with "Voodoo" (1976). With 1.313.000 viewers, and market share of 71% it's the most watched Norwegian final since 2010. Агнете Кристин Йонсен родилась 4го июля 1994 года в деревне Нессебю, Финнмарк, находящейся на самом севере Норвегии, рядом с Баренцевым морем и Северным Ледовитым Океаном, где проживает около 900 человек. Она - саамка по национальности, дочь известной детской писательницы Сигне Иверсен. Известность к Агнете пришла с ее участием в группе The BlackSheeps, которая была сформирована в 2008 году школьниками города Нессебю. В том же году они одержали победу на Melodi Grand Prix Junior 2008 с песней "Oro jaska, beana", которая исполнялась на норвежском и саамском языках. Группа позднее выступила на международном конкурсе MGP Nordic 2008 (скандинавский аналог Детского Евровидения), и также одержала победу. Песня "Oro jaska, beana" стала Песней года на Spellemannprisen Awards и достигла первого места в норвежском чарте синглов. В том же году группа выпустила свой дебютный альбом The BlackSheeps, из которого также вышли еще три сингла: Edwin, Gold Lion and No milk today. В 2011 году группа приняла участие уже во взрослом Melodi Grand Prix 2011, национальном отборе на конкурс Евровидение, с песней "Dance Tonight", и заняла второе место. В качестве соло исполнительницы Агнете выпустила три сингла - "Goin' Insane" (который она исполнила под именем Aggie в качестве гостьи на Melodi Grand Prix Junior 2013), "Mama" и "Hurricane Lover". В 2013 году она приняла участие в шоу Stjernekamps на телеканале NRK 1, и заняла в нем второе место. В 2014 году Йонсен стала самой молодой в истории победительницей десятого сезона шоу Skal vi danse - норвежской версии "Танцев со звездами", где выступала со своим партнером Егором Филипенко. Также она сыграла заглавную роль Дороти в сценической постановке "Волшебника страны Оз". Агнете представит Норвегию с песней "Icebreaker", которую она написала вместе со шведским автором Габриелем Аларесом (Россия 2013, 2015, Молдова 2016), и Яном Керноу, который ранее работал с такими артистами, как Рик Астли или Кайли Миноуг. Она объясняет, что это личная песня, посвященная одной из ее близких подруг, которая страдает от депрессии. "Это невероятно сильные ощущения - стоять на сцене и петь эту песню, зная, что она находится в зрительном зале. Мы обе в свое время очень сильно страдали от стрессов и депрессий, и помогаем друг другу в тяжелые моменты", объясняет Агнете. Ранее, она открыто рассказывала о своих проблемах, и о том, что только сцена помогает ей бороться с ними. "Может быть день, когда я себя ощущаю ужасно подавлено, но затем я выхожу на сцену, беру в руки микрофон, и выпускаю все плохое наружу", говорит она. "Песня рассказывает о помощи тем, кто столкнулся с какой-либо проблемой. Для меня, Icebreaker - одна из наиболее искренних и личных вещей, что я когда либо писала, посвященная моей подруге и нашей длительной дружбе. Несмотря на то, что я пою по английски, атмосфера песни, без сомнения, вдохновлена холодными голубыми цветами, которые вы можете ощутить во время норвежской зимы. Переход между припевом и куплетом несет в себе смену темпа, на которую обратили внимание многие слушатели. Мне кажется, что она никого не оставляет равнодушным, она либо очень нравится, либо наоборот, сильно не нравится"
"Я следила за конкурсом Евровидение так давно, сколько я могу помнить себя. Когда я была маленькой, то воображала, что я стою на его сцене, пою для всех собравшихся. Сейчас моя мечта сбылась, и, наконец, я буду представлять Норвегию. Для меня огромная честь, и я запомню каждый момент этого. Я сделаю все, что от меня зависит, буду петь от всего сердца, и, надеюсь те, кто проголосовал за меня на отборе, смогут гордиться мною", говорит Агнете. Следующая наша гостья - представительница Норвегии Агнете. Как обычно, мы спросили у нее об ощущениях от предстоящего участия в Евровидении. "Я чувствую себя великолепно! Я следила за Евровидением уже множество лет, и всегда мечтала принять в нем участие. Для меня представлять Норвегию на конкурсе Евровидение - это огромная честь, и один из ключевых моментов карьеры. Я очень благодарна за выпавшую мне возможность, и буду бережно хранить воспоминания о каждом ее моменте". На Евровидении она исполнит песню "Icebreaker", которую написали сама певица, Ян Карноу и Габриель Аларес. "После участия в "Танцах со звездами" я сказала своим продюсерам, что мне бы хотелось принять участие в Евровидении 2016. Мы потратили несколько месяцев на поиск подходящих людей, с кем я могла бы приступить к написанию песни. После этого, сама песня была написана всего за сутки в августе в Нидерландах", описывает Агнете. "Мы написали Icebreaker думая о моей лучшей подруге, можно сказать, что в ее основе лежит история нашей 14-летней дружбы. Песня говорит о том, что нужно помогать близким, находящимся в тяжелой ситуации". У песни достаточно необычная структура, и Агнете объясняет: "У нас было четкое понимание того, какой должна получиться песня. Мы знали, что это достаточно рискованный выбор, но, учитывая историю лежащую за текстом песни, это была единственная возможность, которая могла сработать". Она говорит, что перед Евровидением в песню не будет вноситься каких-либо изменений. "Я горда и довольна полученным результатом и мы не будем его менять. Сейчас у нас также нет никаких планов по выпуску новых версий песни, это может измениться позднее". Говоря о сценической постановке номера, Агнете отмечает, что она будет отличаться от того, что мы видели на национальном отборе, и она работает над сценой и номером вместе с норвежским национальным вещателем NRK. Определенно в номер будет добавлен живой бэк-вокал, состав которого будет представлен несколько позднее. Отвечая на вопрос о танцовщице Саре Кристине Эйнбю, которая выступала с Агнете на национальном отборе, ее ответ на вопрос отправится ли она с ней в Стокгольм был достаточно размытым: "Может быть, но это решение будут принимать продюсеры шоу. :)". Недавно Агнете завершила съемку видеоклипа на свою песню, который в настоящее время дорабатывается. "Мы сняли видеоклип на открытом воздухе, на ветре, ощущение было такое, что температура минус 20 градусов. Ничего сверхнеобычного, но наверное, это не было лучшим временем для несколькочасовой съемки. Правда было весело! :)". Родной город Агнете Нессебю поддерживает ее в участии в Евровидении, и мы спросили, если она вернет Евровидение в Норвегию, найдется ли в Финнмарке подходящая площадка для его проведения? "Я обожаю мой город Нессебю, они поддерживают меня на протяжении всей моей карьеры! Правда, как бы мне не хотелось привезти Евровидение в Финнмарк, я думаю, что это будет достаточно сложно и дорого, но, конечно, мы можем попробовать! ", говорит она. Агнете определяет свою цель на Евровидении как "Встретить множество новых людей, получить удовольствие от всего происходящего и отлично провести время, если у меня это получится, то и остальное будет нормально". К сожалению, певица была вынуждена отменить все предстоящие промо-выступления, поскольку она все-еще выздоравливает от болезни, но обещает, что будет полностью здорова к моменту поездки в Стокгольм. "Я буду 100% готова в начале мая. Единственное, что мне остается - просто поехать в Стокгольм". Агнете говорит, что уже прослушала некоторые из песен, принимающих участие в конкурсе этого года: "В нем множество прекрасных артистов и песен, соревнование будет определенно достаточно сложным!". "Спасибо за ваш интерес, за то, что вы прочитали мое интервью. Я с нетерпением жду выхода на сцену в полуфинале Евровидения 12го мая. Надеюсь, вам всем понравится. С полной версией данного интервью (на английском языке) вы можете познакомиться на нашей странице в Facebook. Премьера видеоклипа на песню Агнете прошла на испанском портале ABC.es. я прошу прощения за то, что не публиковала долгое время новостей о себе. В последние недели я борюсь с вирусным заболеванием, которому, по всей видимости, понравилось проводить время со мной, но, поверьте, это чувство не взаимно. Оно привело к тому, что мне пришлось провести некоторое время в постели, и я была не в силах делать какую-либо работу. Инфекция даже передалась некоорым моим друзьям, людям, которые работают со мной, и их друзьям/членам семей, которым также приходится теперь страдать от нее. Хотя я уже выздоравливаю, это происходит не так быстро, как мне бы хотелось. После отмены поездки в Амстедам мы (я сама, мой доктор, и моя команда, с которой я должна была ехать) приняли решение о том, что лучше всего будет выделить еще время на полное выздоровление. Мой доктор настоятельно рекомендовал мне не покидать страну, как ради нашего собственного здоровья, так и для того, чтобы не заразить других артистов/людей/фанатов из других стран. К сожалению, это означает, что я, скрепя сердце, была вынуждена отказаться от всех промо-мероприятий, запланированных на эту неделю: Israel Calling, вечеринки в Бухаресте и London Eurovision. PS. Я знаю, что многие из вас спрашивают о видеоклипе! Он все еще обрабатывается. Я надеюсь, что скоро смогу порадовать вас конечным результатом! Еще раз прошу у вас всех прощения! Спасибо вам за вашу поддержку и заботу! Норвежский телеканал NRK начинает съемки превью-шоу Adresse Stockholm. В состав экспертного жюри, которое оценит все песни этого года войдут: бывший MGP-генерал Пер Сунднес, редактор Ингеборг Хелдал, нынешний музыкальный директор MGP Ян Фредрик Карлсен и ведущая P3 Силье Норднес. Ведущая шоу - Марте Стокстад. В этом году NRK также приглашает в студию поклонников Евровидения. "Теплая атмосфера будет уже не той без преданных энтузиастов конкурса", говорит руководитель проекта MGP Стиг Карлсен. Съемки шоу пройдут 4го апреля в 17:30, 6го апреля в 17:30 и 7го апреля в 16:30, в четверг будут сниматься сразу две программы. Если вы хотите посетить один или несколько съемочных дней, то вам нужно написать заявку на e-mail mgp@nrk.no. Не забудьте включить в нее ваше имя, e-mail, телефон, и указать даты, на которых вы хотите присутствовать. "Мы с нетерпением ждем возможности провести несколько часов с преданными поклонниками конкурса", говорит Стиг Карлсен. Первый выпуск программы выйдет в эфир 16го апреля в 19:55. Агнете Йонсен переборола минусовую температуру на улице и простуду для того, чтобы создать видеоклип на песню, с которой она хочет покорить Европу. "Я хочу продемонстрировать песню в пакете, который делает ее наиболее интересной и экзотичной как для Норвегии, так и для всего мира", говорит Йонсен. С песней "Icebreaker" и певицей из города Нессебю определенно было логичным снять видеоклип на горном плато. "Там я выросла, это мой дом. Для меня важно показать, откуда я родом. Бонусом, конечно же, послужили природа и ландшафт, которые величественны и волшебны, что добавляет дополнительную глубину в видео", говорит она. Некоторые проблемы, правда, принесло здоровье певицы. Йонсен рассказывает, что несколько дней перед съемками клипа она боролась с сильной простудой. "Снимать клип на минусовой температуре в то время, когда я еще не совсем выздоровела от простуды, была не очень хорошая идея", признает она. "Но у меня было сильнейшее желание все-таки снять видеоклип. Даты уже были обговорены, наняты исполнители. Я не могла позволить здоровью сорвать весь процесс, потому мы все-таки решили снимать". Температура во время съемок, по словам режиссера видеоклипа, была около пяти градусов мороза, что совсем неплохо для Финнмарка - до того момента, пока не начинает дуть ветер. "Но съемочная группа сделала все, чтобы я оставалась в тепле и у меня было достаточно перерывов. Они дали мне достаточно времени, чтобы я смогла реализовать все задуманное", говорит Йонсен в интервью VG.no, подчеркивая, что продолжение съемок было ее собственным выбором. Несмотря на это, состояние певицы было достаточно плохим, и ей пришлось отменить участие в популярном шведском-норвежском ток-шоу "Skavlan", где она должна была исполнить дуэт вместе со шведским победителем Мелодифестивалена Франсом Йеппсоном Уоллом. Но дорогу от места съемок до аэропорта тоже занесло, потому так или иначе на съемки Агнете бы все равно не успевала. Режиссер клипа Элле Марья Эйра объяснет, что она и ее команда Davás Film горды возможности снять видеоклип для продвижения песни Норвегии на конкурсе Евровидение. "Агнете невероятно талантлива. Она быстро понимала все указания, и очень хорошо держалась перед камерой. Она - настоящая "arctic femme", обладающая большой силой", говорит Эйра. "Было классно иметь возможность пообщаться на саамском во время съемок. Абсолютно потрясающе, что Агнете решила снимать видеоклип на свою песню дома в Северной Норвегии". Йонсен ранее рассказывала о том, как важна для нее песня "Icebreaker" и тематика ее текста. "Мы постарались продолжить то, что она делала на сцене в Oslo Spektrum, и визуализовать эти чувства в видеоклипе". Костюмер Линн Хенриксен говорит о том, что костюм Йонсер в видео вдохновлен арктической самоидентичностью. "При его создании я думала о том, кто такая Агнете и о чем ее песня. Аутентичная, оригинальная. Отражающая то, откуда она, с небольшим налетом саамов. У Агнете замечательная природная харизма, и на этом я и основывала свою работу. Я обычно имею дело с художественными фильмами, но мне было интересно поработать и над этим проектом, потому что Агнете - представляет Финнмарк". Певица с нетерпением ждет Европейского конкурса. "Я невероятно счастлива стать частью его. Я еще раз хочу поблагодарить всех за вашу поддержку, я навеки вам признательна", говорит Агнете. Премьера видеоклипа пройдет на телеканале NRK1 в субботу, 2го апреля, когда вещатель также покажет документальный фильм "Агнете, звезда из Нессебю". Увидеть его можно в 19:55 местного времени здесь. Европейский промотур Агнете Йонсен будет частично спонсирован ее родным городом. Перед отлетом на Евронеделю в Стокгольм, Агнете посетит ряд Европейских стран для того, чтобы наработать себе фан-базу и познакомить со своей конкурсной песней Icebreaker. Она планирует побывать в следующих странах: Швеции, Дании, Финляндии, Нидерландах, Великобритании, России, Венгрии, Германии, Испании, Румынии, Польше, Греции и Франции. Агнете также выступит на промо-вечеринках в Амстердаме и Лондоне. Помимо того, на ее песню будут созданы пять ремиксов, над ними работают популярные диджеи из тех стран, где Агнете уже наиболее узнаваема. Город Нессебю, самый северный город, в котором когда либо рождался участник Евровидения, выделяет 75 тысяч крон (около 7900 евро) на промо певицы. "Члены городского совета невероятно довольны услиями Агнете и считают, что Нессебю должно поддержать ее участие, поскольку она представляет наш город на мировой арене. Мы все невероятно горды ею", говорит член совета Марит Хелене Педерсен. В ближайшие несколько дней посткард Норвегии будет снят в Нессебю. Для Icebreaker также будет снят видеоклип, премьера которого пройдет 15го апреля. 4го мая Агнете вылетит в Стокгольм. Нессебю планирует провести специальное мероприятие в день финала конкурса, и в настоящее время ведется подбор подходящей площадки, среди вариантов рассматриваются детский центр или площадь рядом с местным музеем. Норвежский вещатель NRK вновь выбирал своего представителя на конкурс Евровидение посредством национального отбора Melodi Grand Prix. Ян Фредрик Карлсен стал новым музыкальным продюсером отбора. Он известен в качестве члена жюри программы Idol, и также принимал участие в X Factor и Norway Got Talent. На посту музыкального продюсера MGP он сменил Виви Стенберг. Правила MGP были опубликованы 22 июня 2015 года. Норвежский отбор - один из немногих, допускающих к участию в нем иностранцев. Более того, подача заявок на участие в нем весьма облегчена, нет ограничений ни по качеству записи, ни по длине песен, допускаются композиторские демоверсии без конкретного артиста, да и отправить заявку можно по интернету. Единственное условие: песня не может быть публично представленной в любом виде до национального отбора. В случае, если песня будет выбрана для участия в отборе, она должна быть приведена к правилам Евровидения. Норвежская вещательная корпорация сохраняет за собой право выбора артистов для исполнения тех или иных композиций, но это будет сделано в диалоге с авторами песен. Помимо отбора песен из числа полученных заявок, NRK также напрямую приглашает авторов и исполнителей к участию в отборе. Крайний срок приема заявок: 11 сентября. На участие в национальном отборе было получено почти 1000 заявок. Специальный отборочный комитет NRK, в составе Пиа Скевик (NRK P1), Мари Комиссар (NRK P3), Ян Фредрик Карлсен (музыкальный продюсер MGP) и Стиг Карлсен (директор проекта MGP) оценил все участвующие песни, и выбрал 10 из них для участия в финале норвежского национального отбора 2016. Участвующие артисты были представлены публике 19го января в полдень по местному времени в рамках специальной презентации, которая прошла студии телеканала NRK, в ее рамках SiLyA и Коре Магнус Берг взяли интервью у Яна Фредрика Карлсена и участников конкурса. В то же время на instagram были опубликованы 15-секундные отрывки участвующих песен. Выпуск полных-же песен состоялся 2го февраля и прослушать их можно здесь. 20го января было объявлено, что из-за того, что припев песни "Happy Rush" Фредди Каласа сильно напоминал его песню 2011 года "Cannabus" певцу был дан срок в 24 часа на написание нового припева для песни. Он завершил работу вовремя, и песня продолжила участие в отборе под новым названием "Feel Da Rush". Артиста было решено не дисквалифицировать, учитывая, что первой в списке ожидания также шла вторая песня Фредди Каласа. Телевизионные эфиры MGP также включали в себя специальное ознакомительное шоу, где зрители смогли ближе познакомиться с участвующими артистами, которое вышло в эфир за неделю до финала. Сам же финал Melodi Grand Prix 2016 прошел в Oslo Spektrum 27 февраля и его ведущими снова стали SiLyA и Коре Магнус Берг. Билеты на шоу можно было приобрести здесь. Специальными гостями шоу стали бывшие представители Норвегии: Kate Gulbrandsen - "Mitt liv" (1987), Mørland и Debrah Scarlett - "A Monster Like Me" (2015), Silya Nymoen - "Voi Voi" (Nora Brockstedt, 1960), Åse Kleveland - "Intet er nytt under solen" (1966), Knut Anders Sørum и Reidun Sæther - с песнями Jahn Teigen "Adieu" (Jahn Teigen и Anita Skorgan, 1982), "Mil etter mil" (1978) и "Optimist" (1989), и Jahn Teigen с "Voodoo" (1976). С 1.313.000 зрителями и долей в 71% финал этого года стал самым просматриваемым с 2010 года. Что я могу сделать, чтобы заставить тебя услышать?